Chandigarh July 12 (IANS) Punjab Chief Minister Amarinder Singh on Thursday urged the Jathedar of the Akal Takht to appeal to the Sikh community not to resort to drug abuse and to strictly follow the path shown by the great Sikh Gurus. In a letter written to the Akal Takht Jathedar (chief) Gurbachan Singh the Chief Minister said that the Akal Takht the highest temporal seat of Sikhism had always played a pro-active role whenever the state was faced with any sort of crisis from a religious perspective. Pointing out that a sizeable chunk of the state s population had been in the grip of drug abuse for the past many years he said that several youngsters from the Sikh families had also fallen prey to it. The Chief Minister expressed concern over the gravity of the situation caused by drug abuse which was contrary to the Sikh tenets. 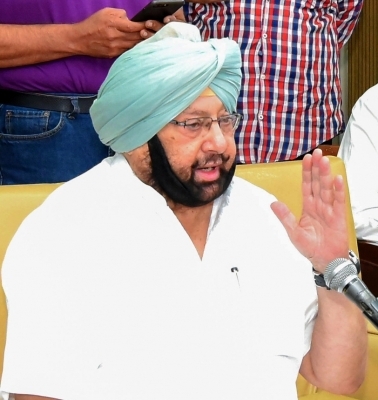 "Though the government has already launched a vigorous anti-drug campaign its efforts needed to be further strengthened and supplemented " Amarinder Singh said in the letter. Drug abuse is rampant in Punjab and many people have lost their lives to drugs overdose.